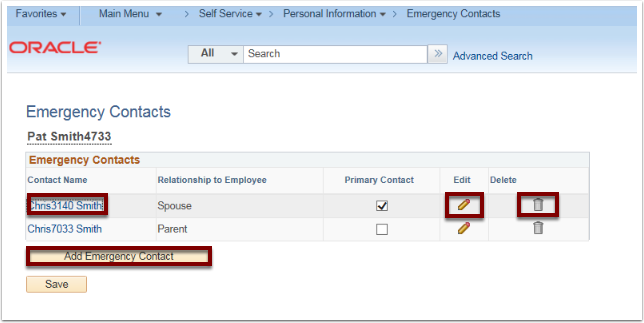 Purpose: Use this document to change and/or update employee emergency contact(s). The first screen shows the employee what information HR has - navigate this page for changes/updates. To make updates, click on Contact Name. Or click Edit. To delete contact, click Trashcan icon. Click Save after changes are made. To make additions, click Add Emergency Contact. 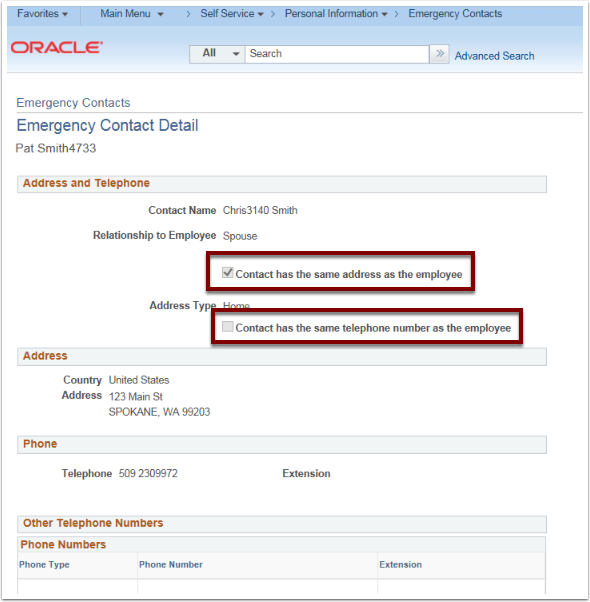 If the Emergency Contact has the same address or phone number as employee, click on the Contact has the same address as the employee option - found on same screen as address and telephone.